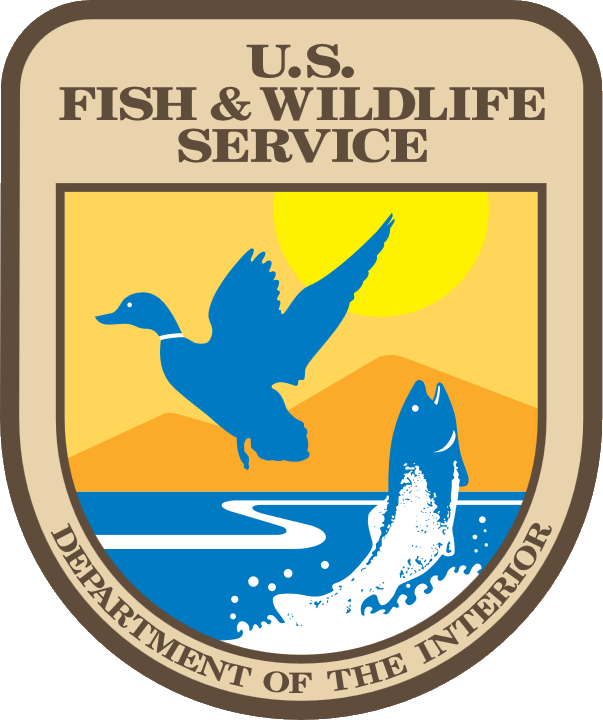 River herring [collectively alewive (Alosa pseudoharengus) and blueback herring (Alosa aestivalis)] have undergone a dramatic decline in landings over the past 5 decades that has resulted in their petition for listing on the Endangered Species Act (ESA). During the ESA process many data gaps were identified including a better detailing of production within freshwater habitat. Traditionally, alewife restoration success and run management has revolved around maximizing the total number of adults entering a nursery system. While aiming for maximum return appears to be a positive approach, there are no data to suggest that high adult returns guarantee strong juvenile production. Previous results have suggested there is likely an asymptotic relationship, where there is a limit to the number of adults that will add to juvenile production, perhaps due to food availability in nursery habitats (Havey 1973, Walton 1987). Furthermore, adult run strength has limitations as a metric for managing harvest in the new ASMFC Sustainable Fishery Plan context, as data required to forecast run strength and determine cohort dynamics are often not available. Understanding of the relationship between number of alewife spawners and juvenile production is critical for setting appropriate management goals for either restoration or harvest. Past efforts to estimate spawner-recruitment relationships have not been entirely successful but have laid the groundwork for a more comprehensive investigation. Since even the most recent study (2006, reported in Gahagan et al. 2010), monitoring technology using video and digital counting has greatly improved, thus allowing researchers to realistically create census counts at greatly reduced cost in hours. The counts created with this technology are also continuous, allowing for concurrent environmental measurements to be directly related to estimates of migration. We believe the development of these technologies and judicious site selection will maximize our ability to control system dynamics, measure juvenile production, and provide adequate power to identify environmental drivers of growth, mortality and movement. A genetic component to the project will provide important and innovative information regarding the contribution of individuals to production. This concern addresses information from Maine suggesting that the production potential of nursery lakes can be “saturated” by the reproductive output of some number of adults. Escapement-based management plans in harvested runs operate on the premise that there is an optimal density of adults to pass into spawning habitats, usually a percentage of the total run. However, this requires knowledge about relative importance of escapement, temporal spacing of spawning events and whether specific portions of the run are particularly important, and whether productivity in ponds is limited by food-web, landscape or other biological characteristics. Negative consequences due to few individuals contributing to subsequent generations, namely, loss of genetic diversity, inbreeding, and reduced adaptive potential (Hare et al. 2011), may occur without managers’ knowledge in the absence of the information we propose to collect. 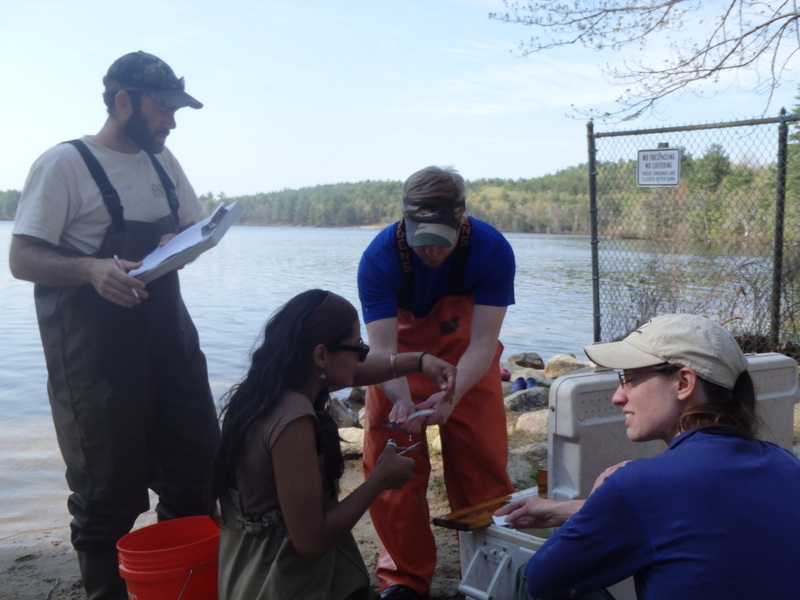 This project seeks to fill critical alewife knowledge gaps by studying the ecosystem properties and evolutionary mechanisms that interact to control alewife productivity in coastal lakes. We will stock adult alewives in lakes where they have been extirpated and quantify juvenile production through sampling resident and migrating age-0 individuals using a variety of traditional and novel approaches. We will consider multiple metrics including number of spawners, number of successful spawners (determined genetically), environmental conditions in the lake throughout the growing season, food availability in nursery areas, and demographic characteristics of age-0 fish over the season. Finally, we will sample alewives in multiple ponds and lakes to assess landscape-scale variables influencing alewife presence and densities. Rosset, J., B.I. Gahagan, P.A. Jordaan, A.H. Roy, and A.R. Whiteley. 2014. Life history characteristics of alewife (Alosa pseudoharengus) in freshwater environments. Annual Meeting of the New England Association of Environmental Biologists, 26-28 March 2014, Burlington, VT.
Rosset, J. B.I. Gahagan, A.P. Jordaan, A.H. Roy, and A.R. Whiteley. 2014. Life history characteristics of juvenile alewife in freshwater ponds. Annual Meeting of the American Fisheries Society, 17-21 August 2014, Quebec City, Quebec, Canada. Rosset, J., A.H. Roy, B.I. Gahagan, A.R. Whiteley, and A.P. Jordaan. 2015. Life history characteristics of alewife (Alosa pseudoharengus) in freshwater environments. American Fisheries Society Southern New England Chapter 2015 Winter Meeting, Narragansett, RI, 27 January 2015.